A column of dirt slamming down onto some steps. A sheet of fabric slipping off a sphere. Some water sloshing against a wall. In the real world: pretty unremarkable physics. 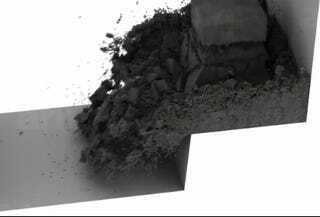 When produced with the Lagoa Multiphysics engine: jaw-droppingly amazing physics.